Feeds for a fast green-up after winter. 5,000 sq. ft and 15,000 sq. ft. Protect your lawn all season long against listed weeds, including crabgrass, all while feeding for a fast green-up after winter. 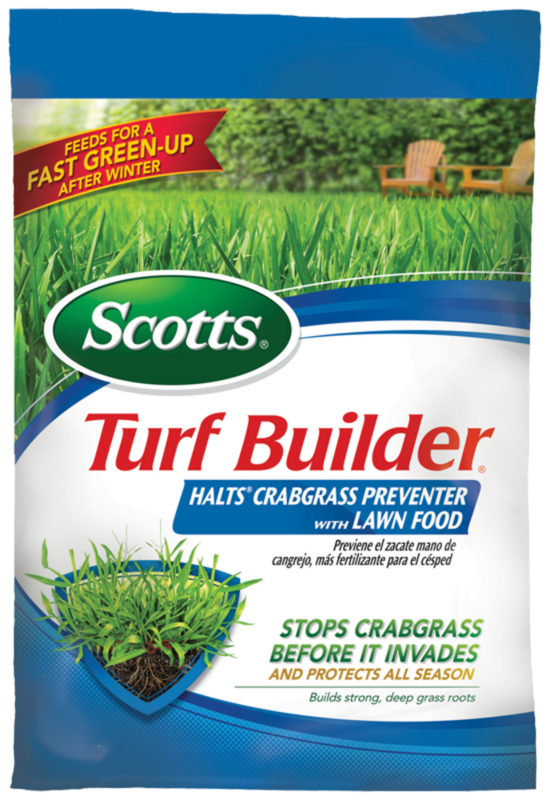 Apply in early spring to prevent the germination of crabgrass, chickweed, poa annua, and other common lawn weeds, before they start to spread. Apply before the 3rd or 4th mowing to protect all season long.